On 22nd March 2018, Devon and Somerset Fire Control received a call from Avon and Somerset police, reporting two sheep stuck in a river. Fire crews from Yeovil and specialist rescue crews from Bridgwater were immediately mobilised by fire control. On arrival the officer in charge confirmed two sheep to be stuck in the river. Crews set up safe systems of work and began to formulate a rescue plan. 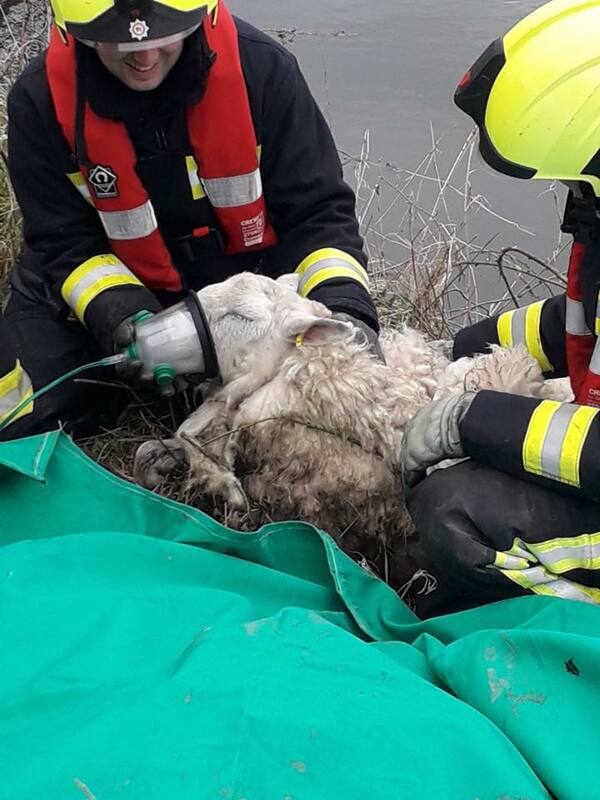 One sheep was rescued by the farmer from the river bank and the other was rescued by fire crews. Fire crews administered oxygen therapy to one the sheep using a Smokey Paws oxygen kit, who made a good recovery, and both sheep were handed over to the care of the farmer fit and well.